How North Korea's Nuclear Tests Could Get Even More Terrifying : Parallels North Korea has so far tested its missiles and its nukes separately. But some experts worry Pyongyang may decide to put the two together into a single test. In May 1962, the U.S. conducted its first and only test of a nuclear-tipped missile. Some worry North Korea could try something similar. At 2:17 p.m. on May 6, 1962, a nuclear-tipped missile shot out of the waters of the Pacific Ocean and quickly disappeared into the sky. Roughly 12 minutes later and over 1,000 miles to the southwest, it detonated in a blinding flash — creating a mushroom cloud over an empty stretch of water. The test was of a submarine-launched Polaris A-2 missile. It was code-named "Frigate Bird," and it was America's first, and only, end-to-end test of a nuclear missile. Thus far, North Korea has tested its nuclear weapons and ballistic missiles separately. The nukes have detonated in deep underground chambers, while the missiles have flown on "fly-ball" trajectories that take them high into space while limiting their range. But in the wake of the North's most recent underground test, and with rumors of another ballistic missile test coming soon, some experts now fear that a Frigate Bird-type test may be coming. "That would be the ultimate way for North Korea to prove its capabilities," says James Acton, a physicist and co-director of the Nuclear Policy Program at the Carnegie Endowment for International Peace. "I very, very much hope we don't go there." In 1962, the USS Ethan Allen fired a nuclear-armed Polaris A-2 missile. It detonated more than 1,000 miles away over the Pacific Ocean. There are good reasons why nuclear weapons and nuclear missiles are usually tested separately. Nuclear weapons are the most powerful devices ever developed by human beings. Missiles are giant tubes filled with explosive fuel. Bringing the two together is risky enough. Firing the missile increases the risk considerably. 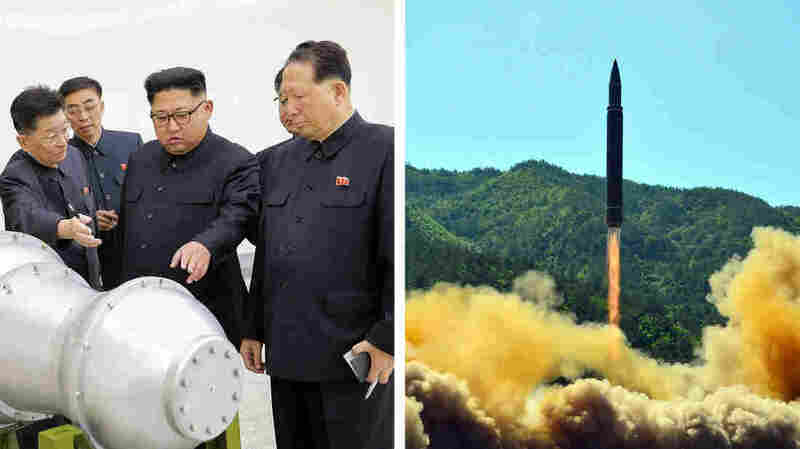 "Missile tests fail," says Jeffrey Lewis, director of the East Asia Nonproliferation Program at the Middlebury Institute of International Studies at Monterey. "An errant nuclear-armed missile is a terrifying thing." Only a handful of these Frigate Bird-type tests have ever been conducted. The Soviet Union tested an early ballistic missile in 1956, but with an ultra-low-yield warhead, says Pavel Podvig, director of the Geneva-based Russian Nuclear Forces Project. A second series of tests took place in the early 1960s in the remote northern test range of Novaya Zemlya. So far North Korea has tested its nuclear weapons (left) separately from the missiles meant to carry them (right). Testing the two systems together would be a dangerous but definitive way to prove they work. In 1966, the Chinese fired a Dongfeng-2, an medium-range ballistic missile, from a launch site in the north of the country to testing grounds in the western desert. The story behind the Chinese test has many parallels to the current North Korean crisis, Lewis says. After China conducted its first nuclear test in 1964, President Lyndon B. Johnson played down the Chinese capabilities. "Many years and great efforts separate the testing of a first nuclear device from having a stockpile of reliable weapons with effective delivery systems," Johnson said. "The U.S. said, 'It's not really a nuclear weapon because you can't put it on a missile,' " Lewis says. "And the Chinese were like, 'Oh, OK. How about we readjust our testing schedule, take the weapon we were going to test underground, put it on a missile and fire it?' And it worked." The U.S. took China far more seriously after that test and a subsequent thermonuclear test, Lewis says. In 1956, the Soviet Union conducted a test of a nuclear-armed R-5M/SS-3 ballistic missile. Today, the stakes for North Korea would be even higher. For one thing, above-ground nuclear tests just aren't done anymore. 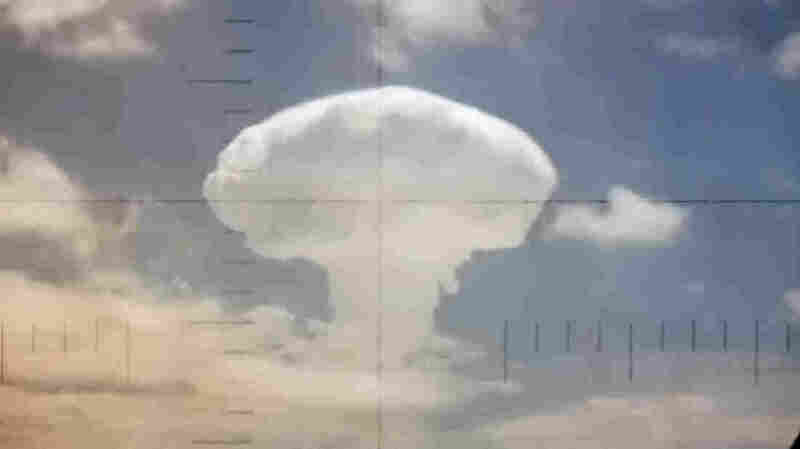 The U.S. and more than 100 countries, including the then-Soviet Union, signed a 1963 treaty banning atmospheric nuclear testing, a treaty that is still in effect. The last atmospheric test anywhere in the world was conducted by China in 1980. A North Korean test would also release fallout into the environment. That radioactive material could travel in unexpected directions, including toward the U.S. Moreover, to reach a remote part of the Pacific, a nuclear-tipped North Korean missile would have to fly over Japan — as have past North Korean missile tests. "I think that would be really upsetting to the Japanese," Lewis says. Because of the dangers, experts remain divided over whether the North would conduct such a provocative test. "My money is on them not doing it," says Alex Wellerstein, a nuclear historian at the Stevens Institute of Technology. "There are other ways to demonstrate their capabilities that do not involve so much risk." But Lewis isn't so sure. He sees too many parallels between the current standoff and the situation with the Chinese 50 years ago. "If we keep saying, '[The nuclear missile] doesn't work,' " he warns, "then I think the odds they are going to do it are pretty good." An earlier version of this story referred to China's Dongfeng-2 as an intermediate-range ballistic missile. It was a medium-range ballistic missile. Intermediate-range ballistic missiles have a range between 1,864 miles and 3,418 miles. Medium-range ballistic missiles' range is between 621 miles and 1,864 miles.